Chief Jim Leonard is proud to call the community of Rainy River First Nations in Northwestern Ontario home. Chief Leonard has been politically active in his community for over thirty years serving as a Councillor and as Chief for eight terms. Throughout the years he has been active in promoting various economic development endeavours for his community with the most recent being a solar energy project. The Rainy River First Nations Power Corporation has developed three solar energy project sites located west of the Rainy River First Nations community. Construction of the two 10 Mega Watt and one 5 Mega Watt sites began in the summer of 2014 and was completed December 2014. The sites have been generating power as of January 2015. 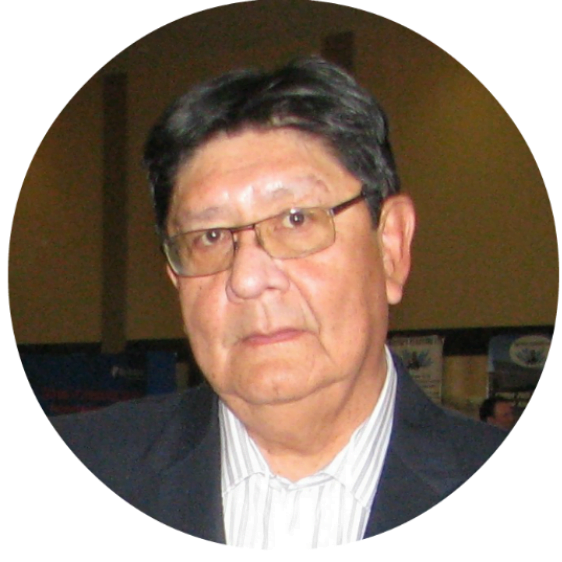 Chief Leonard has been a lifelong resident of Rainy River First Nations,. He holds a Bachelor of Arts degree from Lakehead University in Psychology as well as an Environmental Assessment Certificate from Lakehead University. In addition to his political contributions to his community, Chief Leonard was the Rainy River First Nations Band Manager and the Executive Director of Pwi-Di-Goo-Zing Ne-Yaa-Zhing Non Profit Advisory Services.